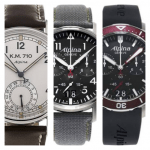 Hey everyone, today we’re taking a look at 6 of the best Certina watches for men. 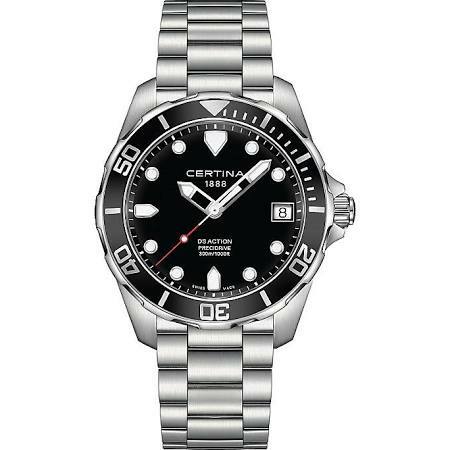 Certina are a serious sports watch brand and focus on the same qualities that make a great athlete, these include endurance, precision, performance, strength and reliability. Certina are actually part of the Swatch group. 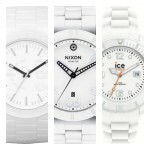 They produce a large selection of both men’s and ladies’ watches that come in mechanical and quartz. 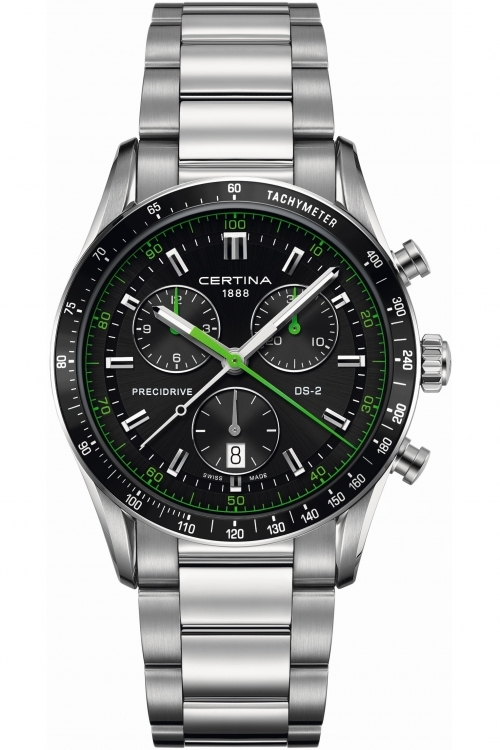 I hope you enjoy taking a look through some of the most popular certina watches for men. As always let me know what your favourite model was in the comments section at the end. 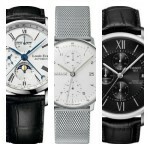 The first timepiece we’re featuring in this look at the best Certina watches for men is a DS Podium Square chronograph. 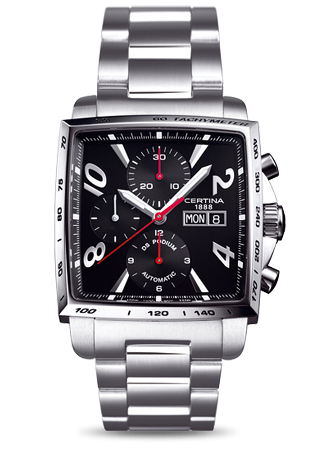 This is a best selling Certina watch that runs on a high-quality Swiss ETA Valjoux 7750 automatic movement. It’s quite a chunky watch, as I’m sure you can tell from the picture, the casing diameter is roughly 39mm and the thickness is approximately 16mm. One of my favourite features of this watch is the exhibition caseback that allows you to view the inner workings of the automatic movement through the rear of the timepiece. It also features a sapphire crystal glass and a 100m water resistance rating. Next up we have a slight variation on the first model, this time opting for a stainless steel strap instead of a genuine leather. This Certina watch runs on the same high-end Swiss automatic ETA Valjoux 7750 movement and features a sapphire crystal glass as well as an exhibition caseback. This model is also has a water resistance rating of 100m. Here we have the Certina Precidrive. 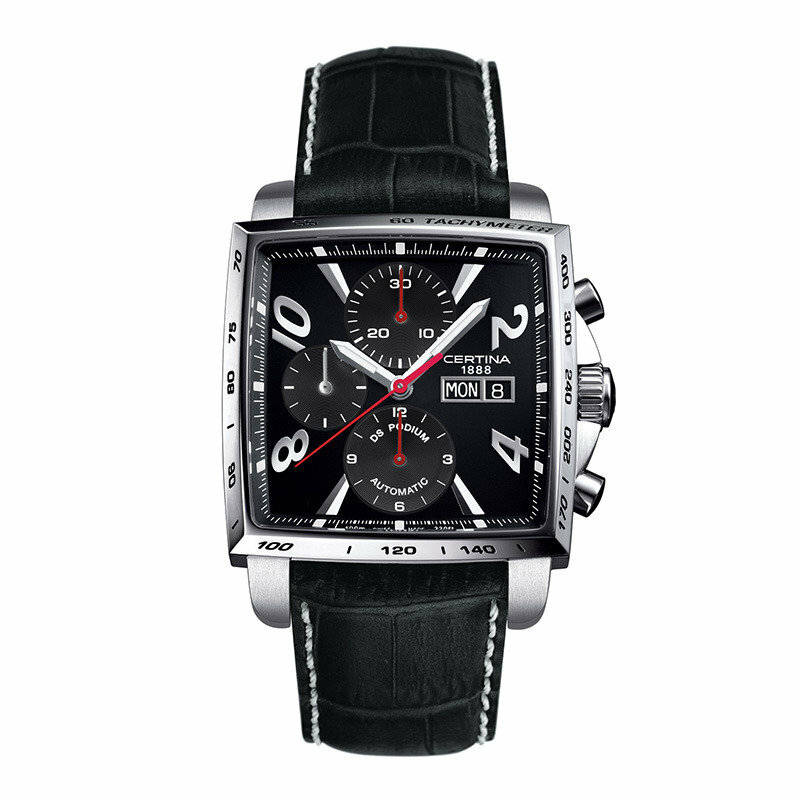 It’s a high-end Swiss made titanium chronograph watch that’s extremely accurate. The Precidrive innovative technology ensures the utmost accuracy for this Certina timepiece. The Precidrive quartz movements achieve real chronometer precision with a rate deviation of +/- 10 seconds per year, making it 10 times more accurate than a traditional quartz watch. Titanium is also a great material to use for the casing and strap as it’s light and stronger than stainless steel. The watch also features an impressive 200m water resistance rating and has a sapphire crystal glass for excellent scratch protection. 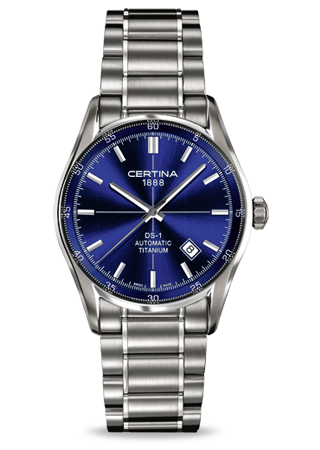 This attractive look Certina 1888 watch is the Ds-1. It features a titanium casing and strap that makes it lightweight and stronger than stainless steel. It’s designed with a prominent blue dial that looks great on the wrist. There’s also a useful date display located between the 4 and 5 o’clock hour markers. The Certina Ds-1 runs on a Swiss made automatic movement which can be viewed via the exhibition style caseback, one of my favourite features on a watch. Protecting the dial is a sapphire crystal glass for excellent scratch resistance. To top it off, this Certina watch has a 100m water resistance rating. In at number 5 we have another extremely accurate Certina watch featuring the Precidrive technology that I mentioned on watch number 3. This DS collection of watches are designed as robust sports watches. The DS stands for double security. A system of elaborate security features like the scratch resistant sapphire crystal, and a complicated system of seals protecting the stem and crown of the watch, as well as a reinforced case back. 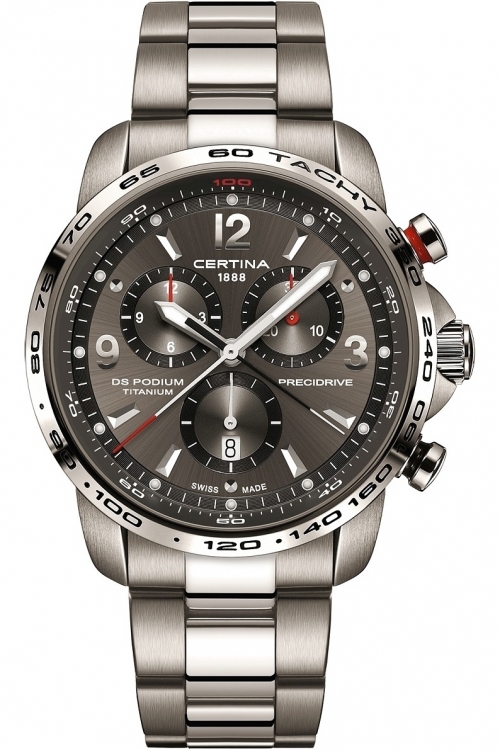 This Swiss made Certina watch runs on a Swiss quartz chronograph movement and has a 100m water resistance rating. Last but not least we have another Precidrive DS Concept Certina watch. By now you’ve learnt a bit about how both the Precidrive and DS Concept features work on the watch. Overall, it’s a very accurate and robust timepiece with a high quality Swiss made build. The watch runs on a Swiss quartz movement and features a very impressive 300m water resistance rating. Protecting the dial is also a sapphire crystal glass for excellent scratch resistance. 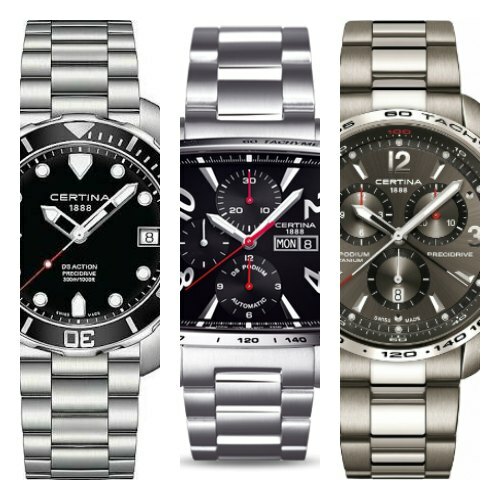 Thanks for taking the time to read through today’s list on the best Certina watches for men. What was your favourite? Comment below and let me know.